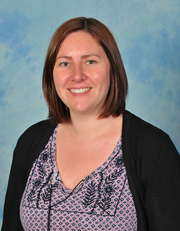 "I have been teaching at Brighton Hill Community School since 2006, when I joined as an NQT. I have thoroughly enjoyed my time at the school, so far, and I still hold the same passion for teaching that I did when I first started. 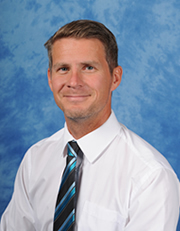 I have enjoyed many challenge at the school and have worked my way up from NQT, to currently Assistant Headteacher. Every day still brings new and exciting challenges. Brighton Hill, like all schools, provides a challenging environment for students and staff alike, but those challenges are not provided without support. Staff work hard for one another and I feel fortunate to be supported by an excellent group of colleagues. The CPD system is highly differentiated to give staff the opportunities to develop and improve in the areas that are important to them. High quality teaching has become a real emphasis at the school over recent years. Students are at the heart of everything we do here. I have had the pleasure of seeing some really outstanding young people join us in Year 7 and move through the school, growing into mature, responsible and well-educated young adults by the time they leave in Year 11. When the time does come for me to move on and further my own professional development, it will be done with a heavy heart, because I am passionate about Brighton Hill, its staff and its students." "For me, Brighton Hill Community School is like a second home. The staff are friendly and welcoming, with everyone smiling at you and saying good morning. After only a few weeks here, I felt part of the team. Training through the Basingstoke SCITT, I was lucky enough to do my main placement here, which was followed up by my securing a job in December of that year. I am now just over 3 years into my time at Brighton Hill and have taken on the role as Head of Year 8. This pastoral role allows me to interact with students in a different capacity and build relationships with students I have not previously taught. The job is challenging and busy - but very rewarding. I enjoy working at Brighton Hill Community School as the students are the centre of our focus and help us maintain the positive feel that initially attracted me to the school." 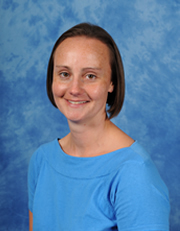 "I have been teaching at Brighton Hill Community School since 2007, when I arrived fresh from New Zealand. Having been here for 9 years, I have seen the school go through a lot of change. However, there is one thing that has always stayed the same - our wonderful students. We are all so privileged to work with such remarkable young people and I am genuinely proud to be a part of this school community. In my role as Head of English (since 2013), I work with a dedicated team of teachers. The faculty is vibrant and fun; we enjoy teaching English and try our best to ensure that all students have a positive experience. For me, my favourite part of the job is when I am able to pop into classrooms and see first-hand the exciting learning that is happening. I love to see our students being challenged and stretched by our supportive teachers. There is certainly never a dull moment. I look forward to our promising future as a school and I am excited to be a part of it!" "Brighton Hill is a school which, like education, is ever changing and moving forwards. I am excited for the huge strides the school has taken over the last year in particular, with the grading of 'good' from Ofsted many expect us to sit back and be happy but we are now driving forwards to be 'outstanding'. There are many hugely exciting initiatives such as PixlEdge and enrichment events which are helping our students to not just leave us with GCSE's but as members of society who can make a change for the better. I joined Brighton Hill Community School as an NQT in 2005 and I have the same passion for the school as I did when I started over a decade ago. For me the stronghold of the school is the amazing students that join us every year and the hard working, committed and enthusiastic teachers and support staff. 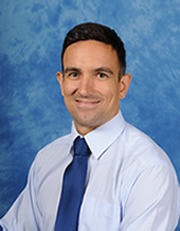 As Head of Faculty for PE I find the role extremely rewarding and have the privilege to work with an exceptional group of staff within the faculty. Alongside this role I am also a tutor, which gives me the opportunity to deal in the real day-to-day life of a smaller group of students. Being able to see them stumble, develop and succeed is a part of the job I really thrive on." 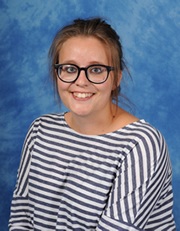 "I joined Brighton Hill Community School as a new Head of History in 2013 and I have had the privilege of seeing so many positive changes happen in the school. For me, the school's biggest positive is knowing our students and always having the interests of our young people at the centre of our practice. I have had the opportunity to move into the role of Head of Faculty for Humanities in January 2016. Although this role has not always been plain sailing, the dedication and passion that my team and I have has enabled us to put our students first. This is something that could not have happened without such an exceptional group of staff, both within the Humanities team, and across the school. The students, teaching staff and support staff make this a vibrant, exciting and fulfilling place to work and I am extremely proud to be part of Brighton Hill Community School. " 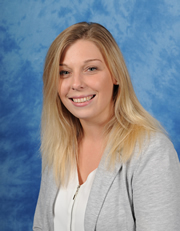 "I have been working at Brighton Hill since 2003, when I started as an enthusiastic PGCE student on my second placement. I felt the strong ethos, positive working atmosphere and it was just an exciting place to work. Many years on, I still feel the same as I did when I first started just with a little bit more experience. The school has always supported me throughout my career and I was appointed as a head of year in 2007. I have loved every moment as a pastoral head, supporting and seeing students grow with confidence through their formative years and leave well-rounded and stimulated young adults always makes me feel proud of the work we do. I believe success is driven by taking the opportunities that are put in front of you and Brighton Hill has always allowed me to push my own career boundaries and I believe the school will continue to do so in the future. The school is now heading in an exciting new direction, with innovative teaching and new ideas all the time. The school continues to evolve into an up and coming place where 'success is inevitable'."